If ecology and health are your passions, you've found like-minded parents who like -you- on our Dragon Wellness Committee! Please contact Jodi Popma! This committee supports the overall mind/body wellness for students and teachers by integrating the St. Vrain School District and Longmont LiveWell health and wellness initiatives. We promote Fitness by supporting Movement in the Classrooms and by aiding other PTO committees such as the Dragon Dash Jog-a-thon and hosting the Treats for Troops Competition. We encourage sustainability and balance with the environment by facilitating the school's aluminum recycle program. Committee Members/Volunteers: Erin Cynkar, Tami Beaton, Hilary Dunford, Lindsey Oliver, Angela Nechvatal, Corrin Lipinski, Stacey Slupik, Kena and Mark Guttridge, Ron Popma, plus many many more! We recycled 2,886 pounds of aluminum and made $1,000.00 for the school! Thanks to all the families for saving your aluminum! 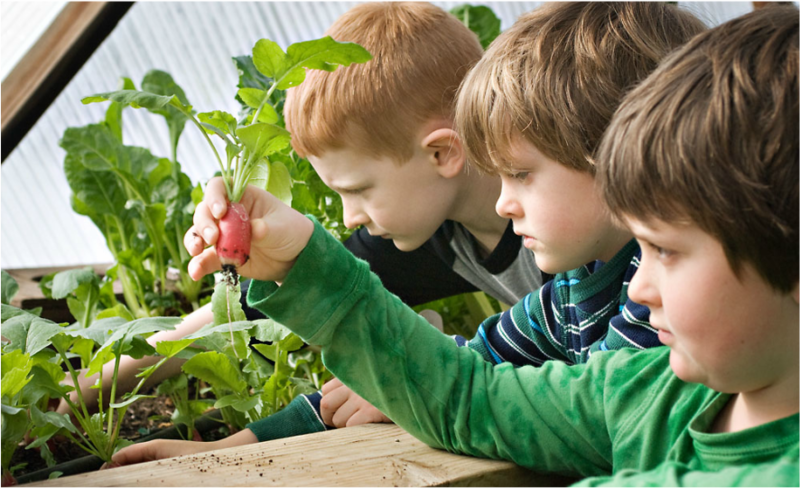 Teach our children where their food comes from, how it works as energy in their bodies and how to take care of the environment. We will host 3 "Harvest Days" throughout the school year to highlight what students have planted in the Greenhouse Program. We are so lucky to have the Outdoor Classroom where students can learn how to grow the food we eat, because the food is in limited supply, tasting is not always an option. Project Produce, Ollin Farms and St Vrain School District will support Harvest Days so that each student will have the opportunity to taste and learn about produce the Greenhouse Program has grown. What are Harvest Days? We have designated 3 days throughout the 2017-2018 school year to highlight produce students have planted in the greenhouse. These sampling events will provide students the opportunity to taste a raw and a prepared version of a fruit/vegetable prior to entering the lunchroom. We will also have education information about the produce (history, nutritional benefits, varieties). During lunch, we will have sampling tables to hand out produce. This is a great time to expose a child to a new vegetable especially because they will be ready for lunch! We are hoping this helps encourage life-long positive food behaviors. We will also have posters representing the produce as a seed, seedling, plant and harvest. We are also planning on showing a poster with all varieties available for the give Harvest offering.We are also planning to hand out stickers for younger students to wear with pride (BVSD does this for their Harvest Days, and it's a big hit).We will be making bookmarks for Friday Folder distribution that highlights the food tried, a recipe, historical facts and information about the farm that supplied the produce. Are you able to volunteer? We are in need of volunteers to help set-up, distribute food and clean up during Harvest Days (30 minute shifts, TBD). I would like one or two people to help proof and prepare the bookmarks for Friday Folders. PTO Website help, as well.We are working on merging the Eco-Dragons PTO committee into a Dragon Wellness Committee, and will incorporate Sustainability, Movement and Nutrition, this group will manage Harvest Days (more to come). "Go Green at Home! For Kids & Adults"